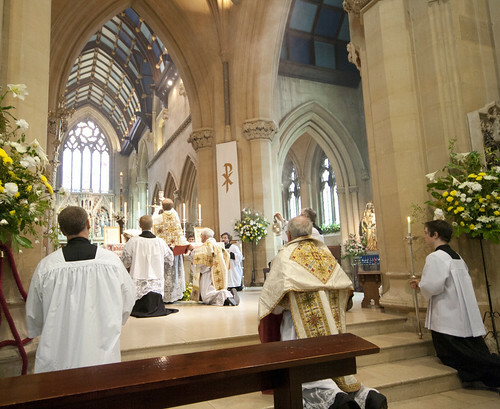 LMS Chairman: The Benedictine vocation in the UK: light at the end of the tunnel? Fr Edward van der Burgh of the London Oratory; a young American monk (right) assists. Turning an inexorable decline into a crisis might actually be a step in the right direction; perhaps that is what these talks will achieve. The organisers did something very clever: the official meeting of senior figures was preceded by a free-wheeling discussion among monks less than 55 years of age. Fr Hugh Somerville-Knapman of Dominus mihi adjutor blog was there and gives us a flavour of what the youngsters concluded. On liturgy the Forum was remarkably sensible and united. There were repeated calls for greater dignity to our worship ... and the need to de-stigmatize the Extraordinary Form. It is one thing to say things like this, or hear them said, and another to implement them effectively. 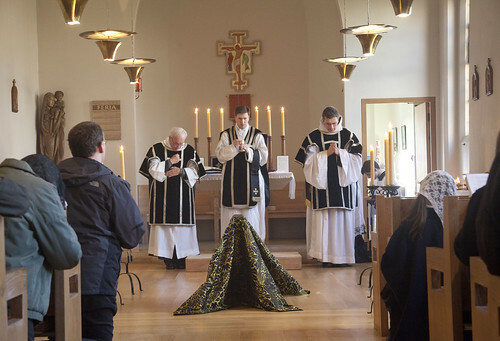 It should be obvious to everyone not completely cocooned from reality that to get vocations today you need to be open to a rediscovery of Tradition, and the Benedictines have a lot of wonderful tradition to rediscover. That's not to say they've lost it all, but even in happier times an ancient way of religious life will have things in its tradition to rediscover and restore, which will fit it better for the challenges of the present day. The question for the Benedictines is whether they want to allow this natural process, which was actually called for by the Second Vatican Council, to take place, or whether they want to preserve the 1970s in aspic, close the doors, and die maintaining the perfect insights of that perfect decade, to the exclusion of all others. If they choose the latter course, the light at the end of the tunnel will turn out to be the proverbial oncoming train. 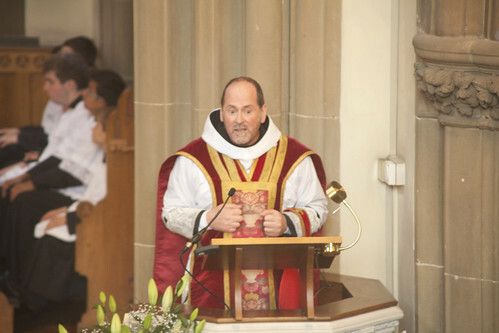 A photo of the Rt Rev Dom Paul Stonham OSB, Abbot of Belmont Abbey, celebrating the LMS Holywell pilgrimage in 2014 would further exemplify the EBC being at ease with the Extraordinary From. Yes true, though I was looking for photos of the EF taking place in Benedictine churches, not of Benedictines saying the EF outside. This is very sad. The picture of the 30 monks in The Tablet must be of the General Chapter rather than the under 55s. The question that occurs to me is what exactly are the EBC for? What is their role? 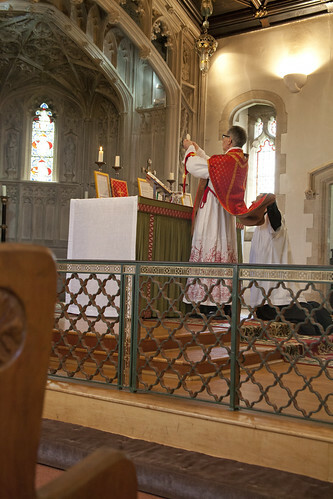 When I was a prep-school boy at Worth in the 1940s their role seemed very clear - passing on the faith to the next generation and to my mind they did it brilliantly and the liturgy was stunning. Can that be said of the schools they run to-day? Hard to admit that your entire adult life has, in effect, been a mistaken and costly detour. Which is, I think, where our rhetoric is important. Opposing the 1970s reforms as a mistake from the start and implying that they should never have been made and should be swept away (however true) will make it difficult for older 'church leaders' to accept change. But talking of them as an idea of their time, which is now half a lifetime ago, from which it is now time to move on, may be more palatable. Dr Shaw's challenge about "preserv[ing] the 1970s in aspic" seems to be, I think, a good approach.